Here is my project. 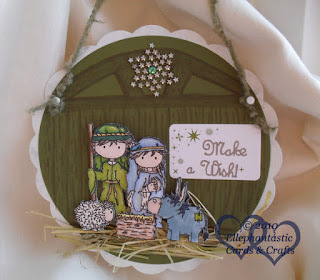 It is a hanger I have used as a christmas card for my mum & dad as my mum adores my nativity image!! oh helen! this is beautiful!!! wow! I love how you made it 3D with the straw. 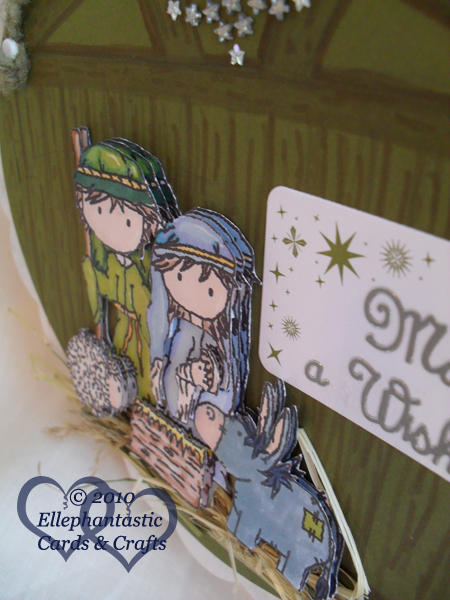 I also love your nativity image and used it in several of my Christmas cards. I hope you are feeling much better now.